Hemp producers and several advocacy groups agreed last week that legislation offered by Sen. Mitch McConnell, R-Ky,. could have a dramatic impact on the U.S. hemp industry. Hemp, predominantly used a fiber, is part of the cannabis family like marijuana. However, it contains much lower levels of the psychoactive chemical, tetrahydrocannabinol (THC) and higher levels of the non-psychoactive chemical, cannabinol (CBD). According to a report by Hemp Industry Daily, most states limit THC content of hemp to 0.3 percent. Until 2014, on a federal level, growing hemp was illegal due to its placement in the Controlled Substances Act in 1970. The 2014 Farm Bill, however, permitted states to grow hemp through pilot programs by their individual Departments of Agriculture or higher education institutions. Sen. McConnell’s Hemp Farming Act of 2018, introduced this spring, would clearly expand the rights and resources of hemp farmers. Specifically, this act permits Congress to remove industrial hemp from the Controlled Substances list. It will also create a general set of guidelines with which the states will submit their programs for approval to the U.S. Department of Agriculture. Under McConnell’s measure, hemp will become a commodity crop, but will still be controlled and monitored by each state’s Department of Agriculture. He also stated that allowances would be made for farmers to compete for USDA federal grants to conduct hemp research. Producers and advocacy organizations in the industry hope that, with the 2014 Farm Bill, this legislation will rectify some issues that have caused controversy for many years. In the past, the Drug Enforcement Administration (DEA) and states have clashed over the Controlled Substances Act and what it means to hemp. Since hemp is a controlled substance, the DEA can enforce jurisdiction over it. But their interpretation of the law has varied from state to state. The DEA does not allow legal hemp states to exchange seeds, and it only allows them to acquire seeds from international sources through an accompanying import license (supplied by the DEA). In Pennsylvania, Governor Tom Wolf approved a hemp pilot program in 2016. 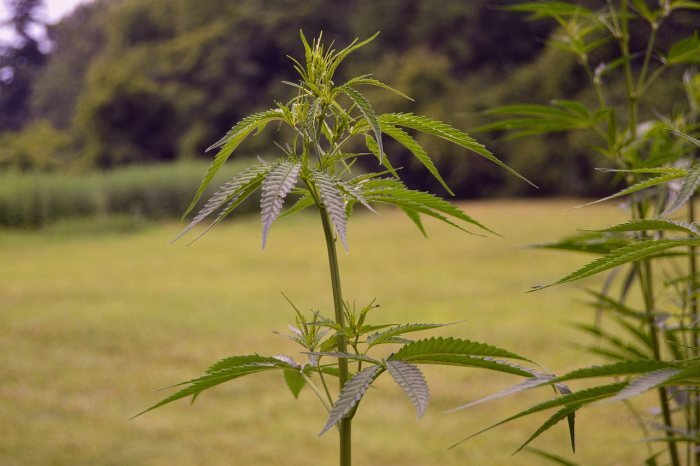 Since then, individuals such as Erica McBride, a Pennsylvania resident and executive director for the National Hemp Association, have seen the problems of the federal legislation first hand. “In the last two years, getting our seeds was challenging because we had to get them from international sources and not from other states,” McBride told us. Along clashes between the DEA and states, the present federal guidelines have allowed other controversies to flourish. Since federal law still classifies hemp as a controlled substance, and the 2014 Farm Bill only allowed pilot programs, McBride noted that banking and credit card processing was a problem for businesses. (As a controlled substance, hemp is seen on the same threat level as heroin by the federal government. This means banks, which are regulated by the government, will most likely not allow hemp farmers to use their services). Crop insurance also was not available to hemp farmers previously but Senator McConnell has stated it will be based on the new legislation. McBride and others believe these issues, as well as a lack of certainty in market prices, has led farmers to be unsure about investing in hemp. But McConnell’s legislation may change this — and the hemp industry as well.